In May of 1983, I built 21 of these tables. They are made of Madrone, and stained to look like Cherry. 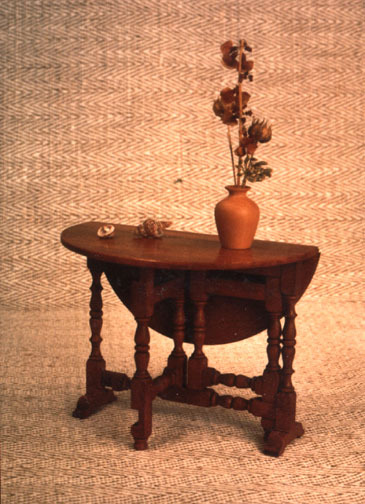 This would have been used as a side table in the hall, or other location where there was little room. This design will fold up to be very compact, yet provide a nice surface when fully opened.